On my quest to try and cook lighter and healthier meals, I came up with this dinner one night after surveying what I had in my pantry and fridge. I hope you like it. We sure did. 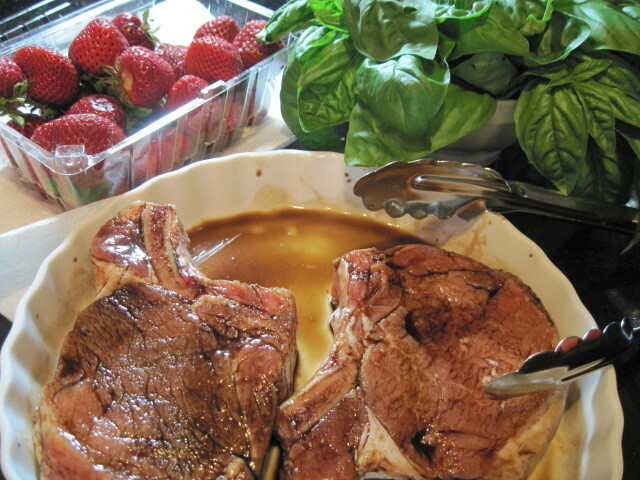 -Place your chops in a shallow pan and brush them on both sides with half of the balsamic vinegar (making sure not to dip your brush into the reserved portion of balsamic vinegar). Allow your chops to sit for 15-30 minutes. 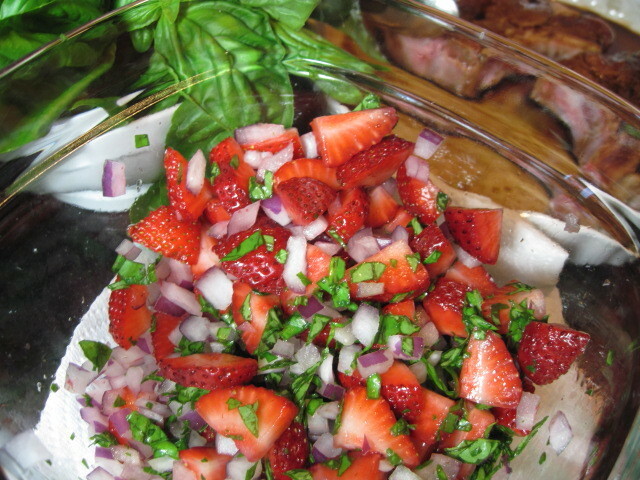 -Slice your strawberries and chop your red onion and tomato. -Place them in a small bowl and add the remaining balsamic vinegar and honey. 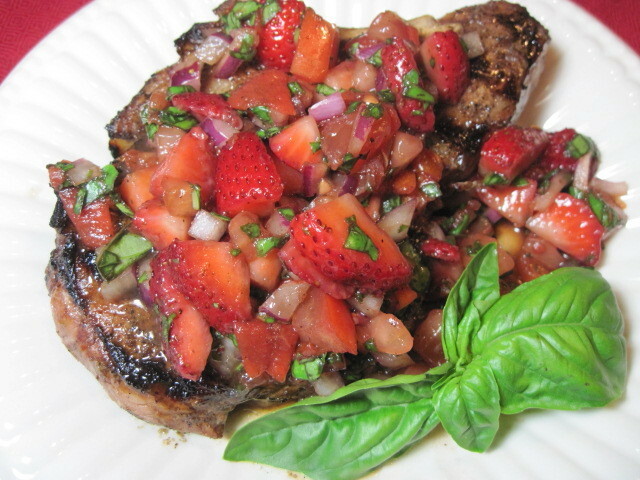 -Add the basil and then refrigerate until the chops are ready to serve. 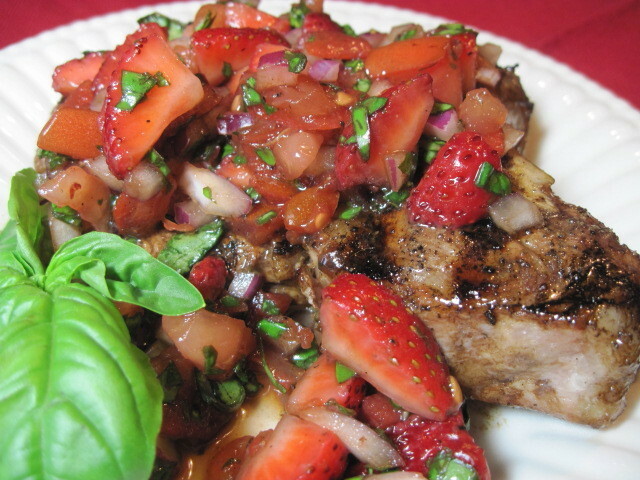 -Remove the chops from the marinade and dry both sides of each chop on paper towels. -Sprinkle both sides of the chops with salt, pepper and ground coriander seed. -Preheat your outdoor grill or indoor grill pan (I used the indoor grill pan) to high heat. -Grill each side of each chop approximately 8-9 minutes per side making sure not to move them at all during this process. You want to insure a good and deep sear on the meat with lovely grill marks. -Flip the chops and continue grilling an additional 6-7 minutes on the second side without touching the meat. 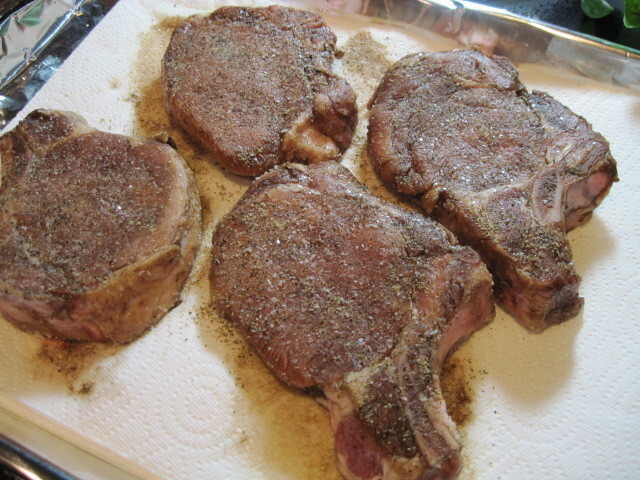 -Remove the chops from the grill and cover with aluminum foil. -Allow to sit for 5-7 minutes before serving. 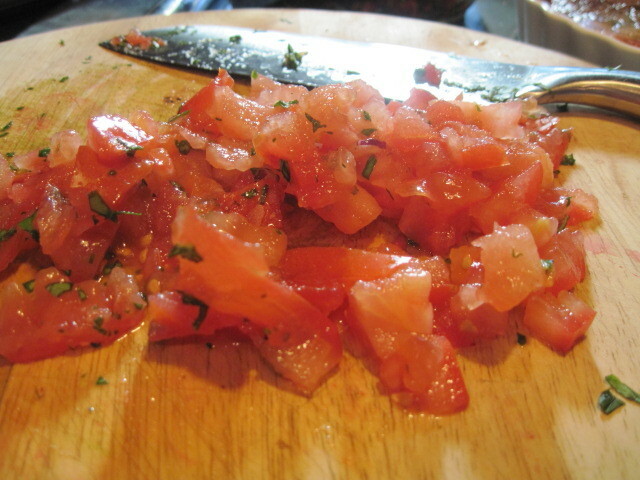 -Top each chop with the strawberry tomato relish and serve. How fantastic do these chops look? OMG! And, is there anything that strawberries wouldn't make better? Great post! 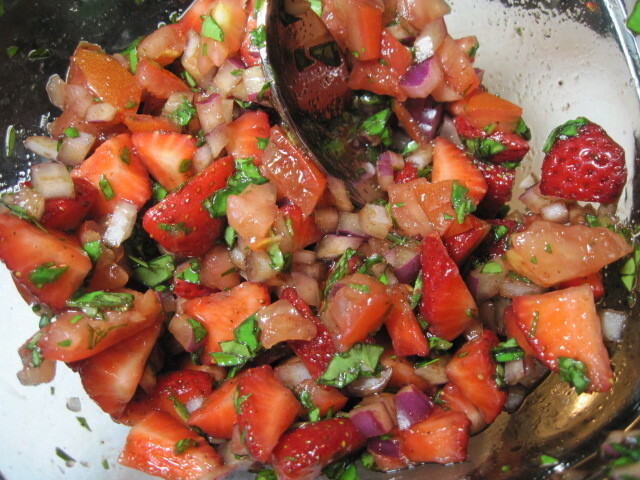 This looks like a wonderful summer relish to try with different cuts of meat! Awesome. Thanks Ellen. I appreciate it and will also be checking out yours as well. this is perfect! perfect post, color, menu.. its fantastic! !